Barley is civilization’s longest cultivated crop. It is a type of grass that humans have modified over thousands of years to suit their needs. Remarkably, it has a wild ancestor growing in roadsides and orchards all over the cradle of civilization, Iraq. Ancient Babylonian paintings depict loaves of barley bread being cooked, then reserved for brewing. Could it be that the first city in the world, Eridu, was centered around this crop? Perhaps people flocked there because of some local brewpub, Nebuchadnezzar’s Ale House. 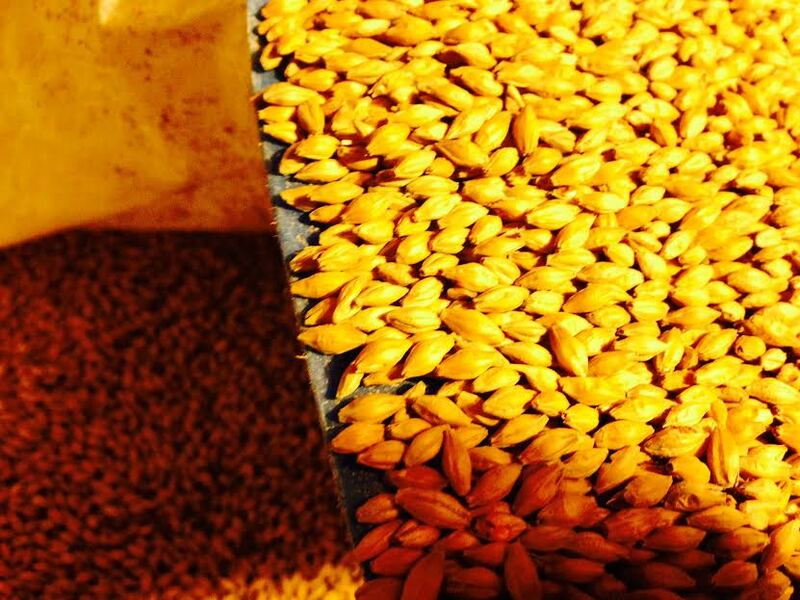 Preparing barley has come a long way since ancient times, and the process of malting has been advanced to ensure maximum fermentables, flavor, and aroma. The explosion of homebrewing in the U.S. has led to the availability of the best malts in the world. Maris Otter, a heritage breed from England, has a mild nutty flavor perfect for malty beers. Long gone are the days grandpa went to the store to buy Blue Ribbon malt, bakers yeast, and sugar. We are talking real flavor here, flavors that breweries staked their reputations on. Fresh-baked bread flavors from Weyermann malts, floor-malted Bohemian Pilsner, hell, even diamond-encrusted space-grown barley might be available. Even the finest malt in the world can be useless if a brewer is careless with their technique. During the brewing process, astringent tannins can be released from over-sparging, hot strike or sparge water, or grains being boiled in the kettle. The proper temperature must be maintained during the mash, as dozens of enzymes are converting starches into more fermentable sugars. The malty beers of Scotland are produced with a high mash temperature, as this ensures creamy dextrins to form. Traditional English IPAs are mashed at lower temperatures, which creates a more fermentable beer and a drier finish. The overall maltiness of a beer can be described in many ways, and does not need to be creamy (a mouth-feel and not a flavor, anyway). For example, a nutty brown ale could be described as malty while being dry. Malt flavors can range from raisins, marshmallows, sourdough bread, to the ashy character of porters. There is a nearly unlimited amount of flavors possible, due to the magical properties of melanoidins. How does it go so wrong, if the flavors are limitless and the quality of barley is impeccable? Fermentation is the most underrated part of the brewing process. I would even venture to say it is the most important part, at least equally as important as the stuff that goes on during brew day. Proper yeast handling, temperature control, and near-sterile conditions are absolutely necessary to ensure clean beer flavors, such as maltiness. Keep in mind that sterility cannot be achieved, even supposed “clean rooms” have certain microorganisms that can grow (without oxygen, sunlight, and in extreme pH conditions). Life is an incredible thing, and it thrives in almost any condition we can think to put it in. Therefore, brewers must be over-the-top with their sanitation procedure. The ones who succeed in killing 99.99% of the bugs make the best beer. The ones who do this without filtration or pasteurization are the best brewers (my opinion). Some beers have no discernible off-flavors, yet they are thin and have no malt character. I would venture that the first culprit is an unwanted microorganism. Wild yeast and bacteria can hide in the background and feast on dextrins or other sugars that would be unfermentable by saccharomyces cerevisiae. The result is a beer with a less malty character. O’Dell’s is one of my favorite malty breweries. Nearly all of their beers have a clean malt character that can shine bright or hide in the background. Their Levity Ale is an under-appreciated easy drinker. Civil Life is one of the best examples. They use traditional English malts, such as Maris Otter, to produce clean, malty beers. Their American Brown Ale is one of the best beers a human can hope to try. The only complaints I’ve ever heard are from hop-heads, asking for more bitterness. Just give them a few years, they’ll understand. Which brings me to my ninth point, which is simply scaling back on IBUs can help a brewer achieve a more malty character. Did I need to mention that?